5 Things I'm Loving Right Now (April - July 2013) ~ Learn, Live, and Explore! It's been a few months since I've done a favorites post, but I just haven't found that many things recently about which I'm truly excited to allow me to maintain my previous monthly pace. Good news is that there are a few things that I've been obsessed with or have discovered since my last post in March in order to reach the goal of 5 things to maintain consistency in my series. 1. Funny TV Shows - The Mindy Project and Arrested Development: I think I've already confessed to being obsessed with The Mindy Project, but I must say it got even better later in the season. The writing is very witty and smart, to the point where sometimes you have to pause and rewind because you miss some great one-liners. As for Arrested Development, I must admit to having never seen the prior three seasons before the weeks leading up to the Netflix release of Season 4. I was just blown away by the clever writing and character development. Of course, Season 4 was not the same caliber of the previous seasons, mostly because they went for a different format to accomodate, perhaps, for the big time gap. But, I still laughed! 2. 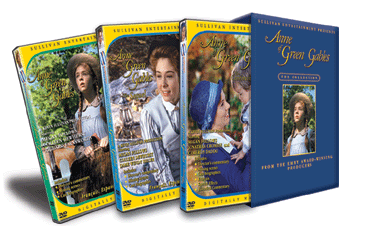 Anne of Green Gables Trilogy: The first two of these mini-series originally aired in the mid-to-late 1980s. And it is a safe bet that at least one out of every two of your girl friends, if they are my age and in their 30s, will remember watching them on PBS; and if they are like me, will have developed a small crush on the character Gilbert Blythe. Earlier this year, I discovered a good friend of mine, Susie, shared my childhood enjoyment of the tv series, and of course I ordered a boxed set off of Amazon so that we could have a movie night. As a bonus, the actor who played Gilbert, Jonathan Crombie, just happened to be starring in a play up in Baltimore this spring. Susie and I caught a matinee show one weekend, and had a chance to briefly talk to Jonathan after the show - and take a photo with him, obviously! Oh Gil! 4. 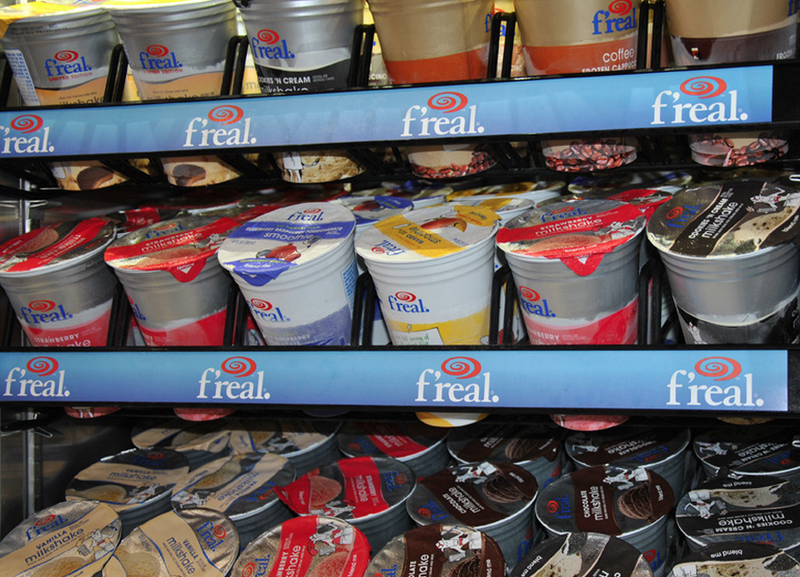 F'real Milkshake Machines: On my recent trip up to Gettysburg for the reenactment, we stopped at a Sheetz gas station on the way back to Washington D.C. There are no Sheetz gas stations inside or near the D.C. beltway, so it was quite a surprise when I went in and saw they have a milkshake machine. What??!! You select your pre-made flavor from a small freezer below the mixing machines, then peel back and remove the top. You then place the cup in the holder and select your milkshake thickness preference. A minute later, after your cup has traveled up into the machine like it was abducted by an alien spaceship, your milkshake comes out blended, ready to eat/drink. I chose the always healthy Reese's Peanut Butter Cup flavor. Next time I'm going to check the calories on the side of the carton before I spoon that last bit into my mouth. Oops! 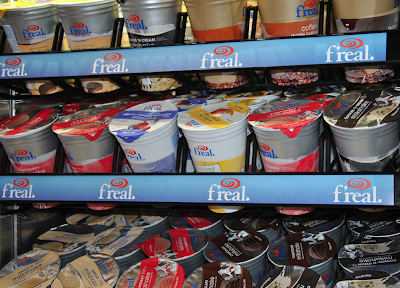 Thank goodness there are no F'real machines nearby. 5. YouTube to Mp3 Converters: I'm quite positive these websites have been around for awhile, but I'm only just discovering them. I've always wished that I could somehow take a song I found on YouTube and make it part of a playlist on my iTunes. Don't get me wrong, I still purchase legitimate, published music legally to support the artists. The songs I'm talking about are the unique performances from live shows, bootlegs, cover songs, and early work that never made it to an album or is out of print. As a result of this discovery, my Mumford & Sons playlist has become a whole lot longer and includes my favorite M&S early song, The Banjolin Song. You may have to search around on Google to see which converter you like the best.